Creating jobs isn’t a partisan issue, I will wake up everyday working to bring more jobs and businesses here in North Jersey because it’s all about jobs and building a stronger future. Join the campaign and help support Josh by volunteering today! Post a yard sign, make campaign calls, knock doors or host an event! Let’s work hard and work together. New Jersey’s Fifth Congressional District is located in the northernmost part of the state. It includes parts of Bergen, Passaic, Sussex and Warren counties. 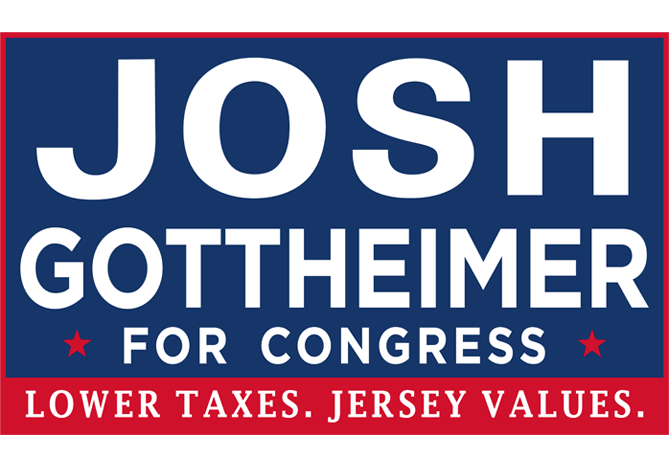 You sent me to Congress to fight for lower taxes and Jersey Values. That’s why I’m working across party lines to find common ground and get things done that are good for New Jersey, not a national political agenda. Jersey Values mean safer neighborhoods, lower taxes, honoring our seniors and getting something done ahead of partisanship. Josh wrote Miranda’s law to guarantee that school districts are notified if a bus driver has a bad record, and called for lap and shoulder seat belts on every bus.